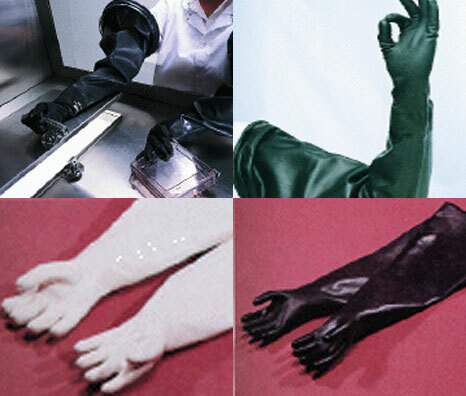 Advanced American Products offers dry box/isolator glove systems in a variety of polymers for use in laboratories, pharmacies and bio-chem settings. Hypalon is the choice for most pharmacies and we offer both sterile and washed products. We also offer Nitile, Latex, Neoprene, Viton and Lead-Loaded. 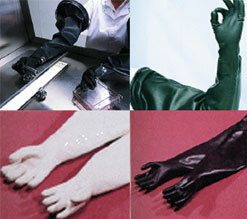 The standard glove dimensions are 15mil in thickness, 32” in length, and you may specify up to a 12” port size. 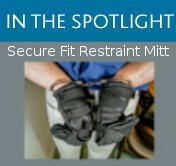 We also offer 13” and 24” lengths, 24mil, and accordion sleeve/glove systems. The gloves are sold in pair’s left/right (hand specific) and ambidextrous is available for most models.